Working with Same Day Appliance Repair Katy, has taught myself and my family that great contractors still exist in this world. They treat you with respect, exceed your expectations and make you fall in love with their first-class service. You'll never have to search for Appliance help EVER again. Thank you Same Day Appliance Repair Katy! My name is Justin, I had Same Day Appliance Repair Katy service my Kenmore SxS Refrigerator and my Kenmore Front-loading washer back in December. Service was excellent, in late January my refrigerator started acting up again, it seemed to be having the same problem that was serviced. I called in, I was scheduled for the next morning. The same repairman came out to back his warranty. He checked my refrigerator thoroughly and honestly told me that the same part was out. He didn't lie, beat around the bush or try to drain me for more money. He had the exact part stocked on his truck, he went out, got it, came in, changed it out and service was complete. We had our refrigerator up and running again. 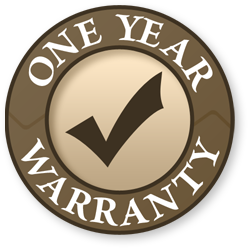 They keep their word with their warranty. When they say ALL parts and labor covered for a year, they mean it. All I paid was the trip charge. These guys are so awesome. I will forever be a faithful customer to this company, as they have been a faithful service to myself and my family. Same Day Appliance Repair Katy is definitely the way to go. Hi, I'm Deborah, I called in to Same Day Appliance Repair Katy on January 8th, 2010. I was a little broken-hearted if you would say before I called in. You see, I have a very old microwave (Omni5) that not too many people have heard of, let-alone service companies service. After calling about 15 different places, I found Jeana at Same Day Appliance Repair Katy and let me tell you, the passion these people have for helping their customers, is incredible. She took my information, name , address, phone#, make and model of my appliance and what was wrong with it. She diagnosed my problem over-the phone to eliminate a service fee and told me she'll do the best she could to have my needs taken care of. and that she did. It must have been a miracle or these guys just might be magic. I received a call the exact same day, with a response. They found some generic parts for my microwave oven as the original parts had been discontinued some 13years earlier. They ordered them next day air, called me when they came in and got me scheduled. When the repairman came, he was on time, very clean and well mannered, he did his job very carefully and got my Omni 5 fixed right up!. The accuracy and knowledge of these people is so definite. I love you Same Day Appliance Repair Katy! Thank you for all your help, I am very grateful. You guys rock! Thanks for all of your help. Okay, so they might not ALWAYS have a spot for you the "same day", but believe me. They're worth the wait. and its understandable that great service is in demand and they fill up spots quick I'm sure. So, here's my story... I had a guy come out from another company to check my garbage disposal and he came up with a quote of $389.72 (to be exact)lol..to change out my disposal. anyway. I didn't except his quote of course and I continued my search for a repair company. That's when I found these guys. I called in and explained my problem I was experiencing. They set me up for the next day. The technician came out, checked my garbage disposal and basically told me that the last guy lied to me. My freakin drain was clogged. That's it! He was so up front and honest. He got it unclogged within the matter of seconds, and only charged my the trip charge. (I gave him a $20 tip) I was just too happy with this service company. So total for getting my problem fixed: $49.95 trip charge + $20 tip = $69.95. That's like 5 or 6 times LESS than what that other company was trying to STEAL from me. Oswaldo was my technician. I just want to say. dude, your AWESOME! Thanks guys. You have my business anytime I have an appliance problem.